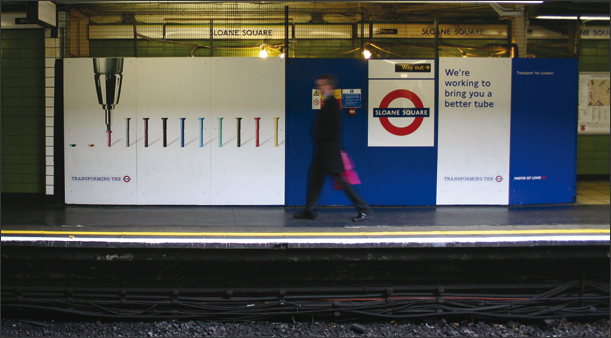 Transport for London (TfL) need their messages to cut through the noise and communicate effectively to London’s population. 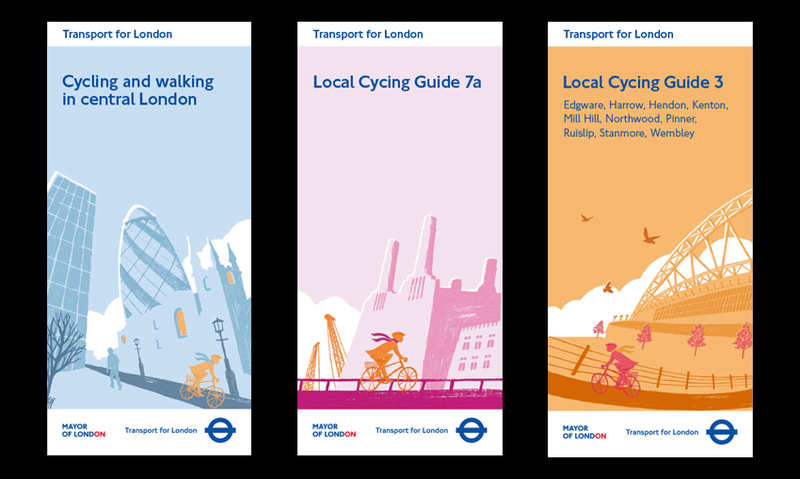 Add to that the fact that many Londoners do not speak English as a first language, information needs to be clear and confidently presented. 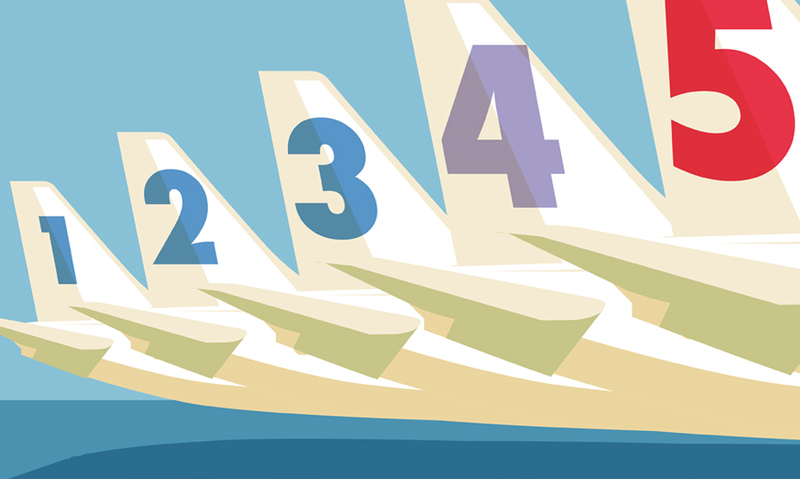 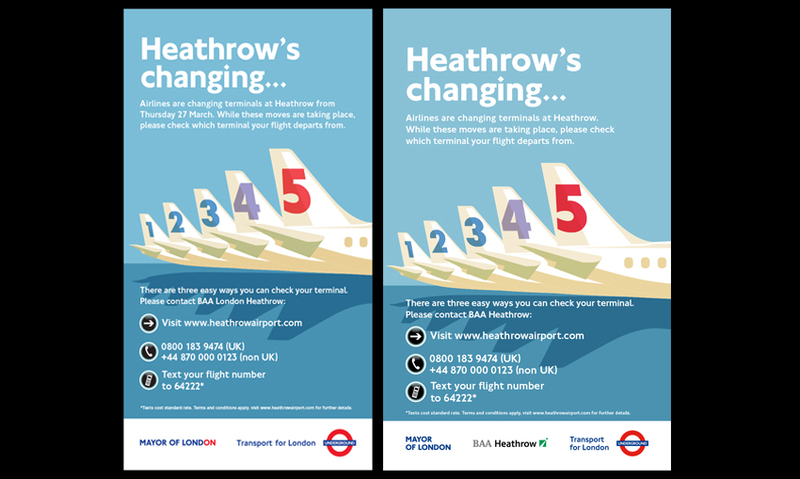 With five terminals at Heathrow it is important for passengers to exit the Tube at the correct stop. 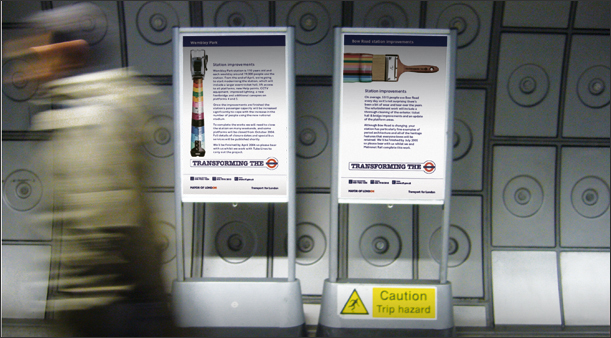 This project looked at creating a design that clearly illustrated the issue. 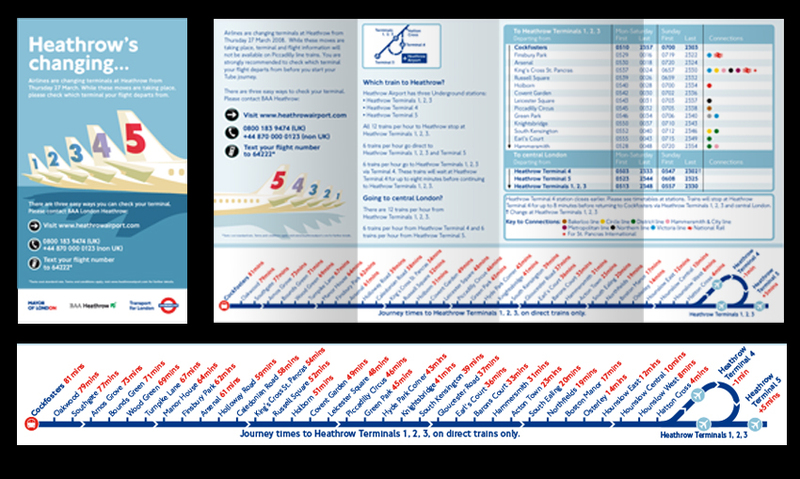 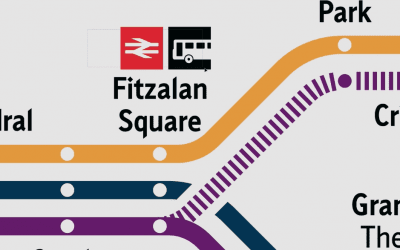 After 10 years of being installed on the Piccadilly Line platforms and within carriages, the design was only updated recently. 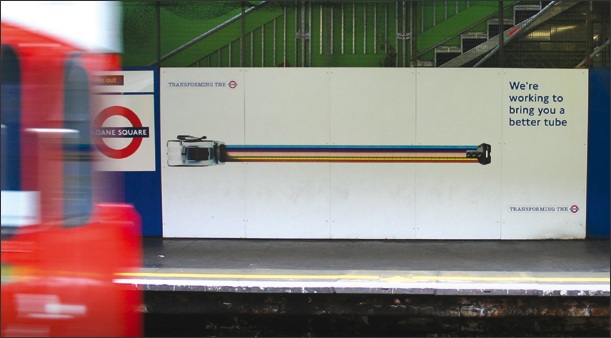 This proved that a simple and impactful idea always survives the test of time. 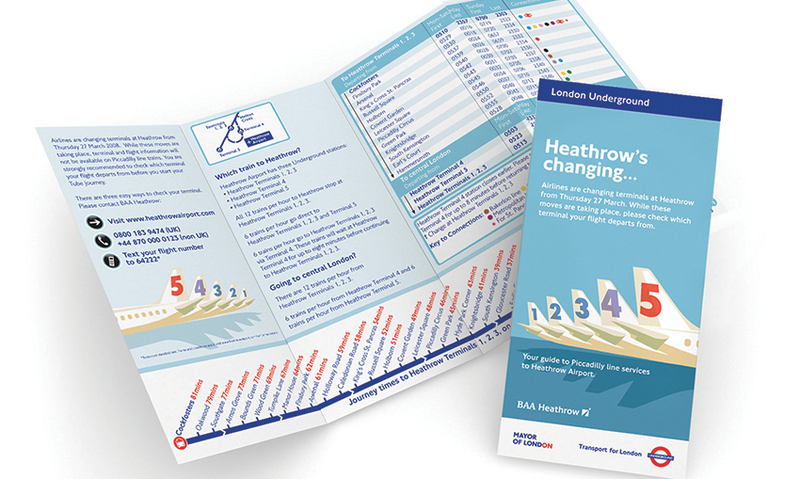 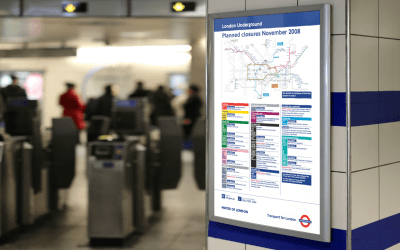 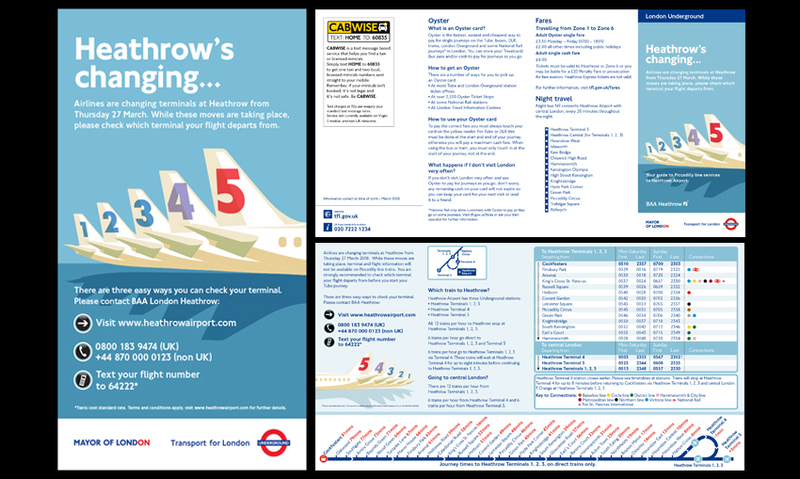 While Tube transformation works was being implemented across the TfL Network, there was a need for a range of communications that inform passengers of the on-going work around them. 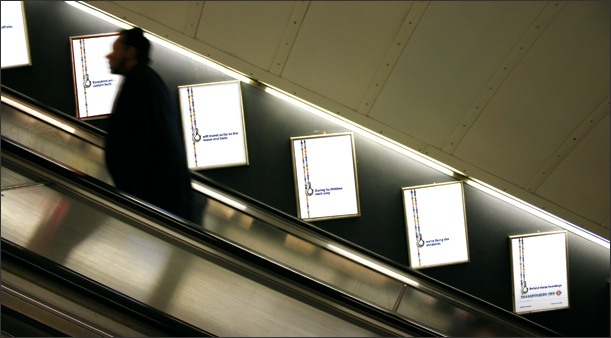 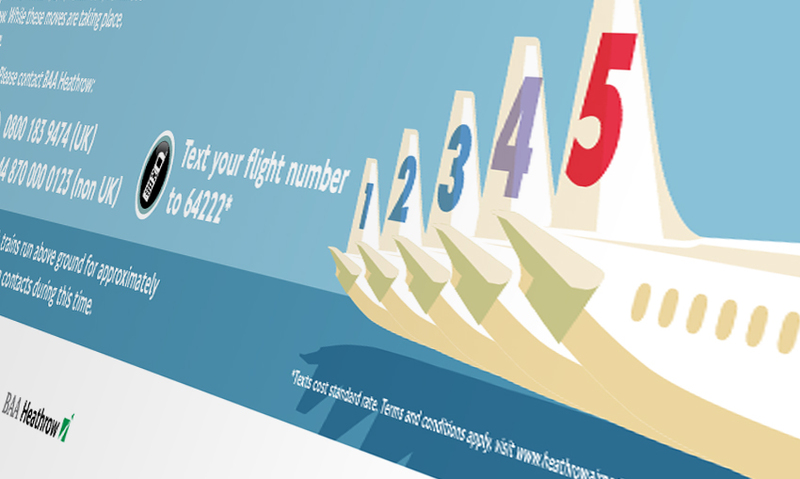 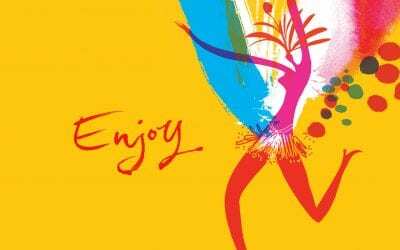 The design solution was a clean and simple approach, that could deliver a wide range of messages within a colourful and consistent creative. 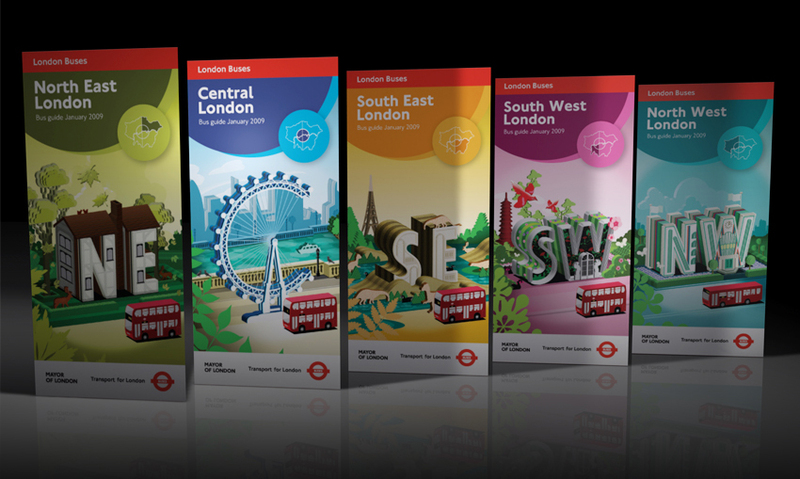 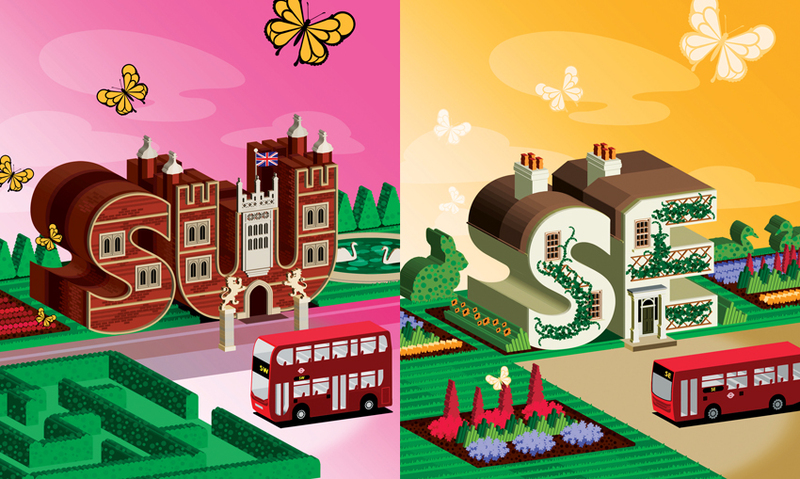 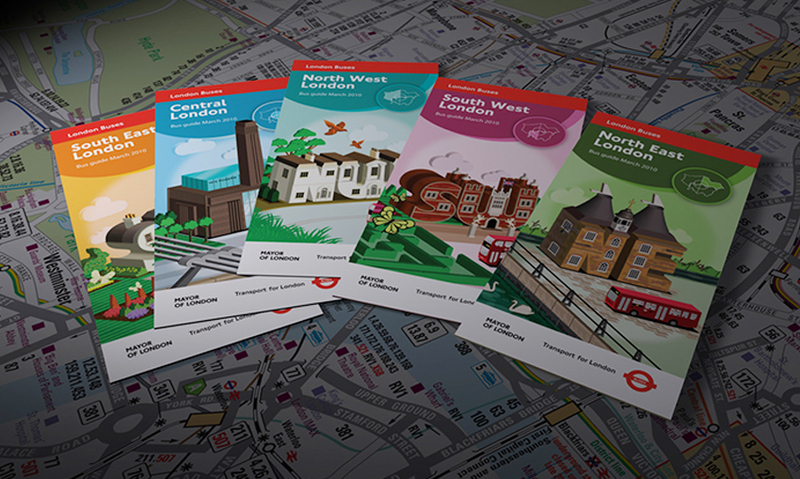 Iconic and unique covers for the five London regions – Central, NW, SW, NE, SE. 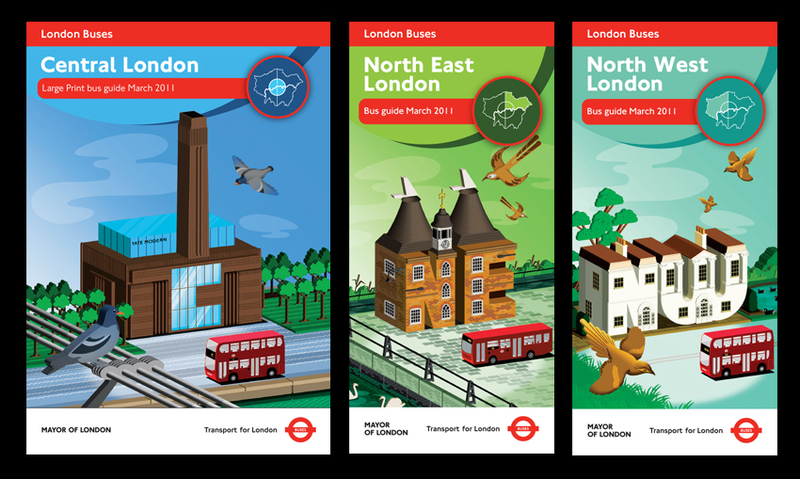 We researched each area and created illustrations which celebrated iconic landmarks, cleverly constructed form the region’s identifying letters. 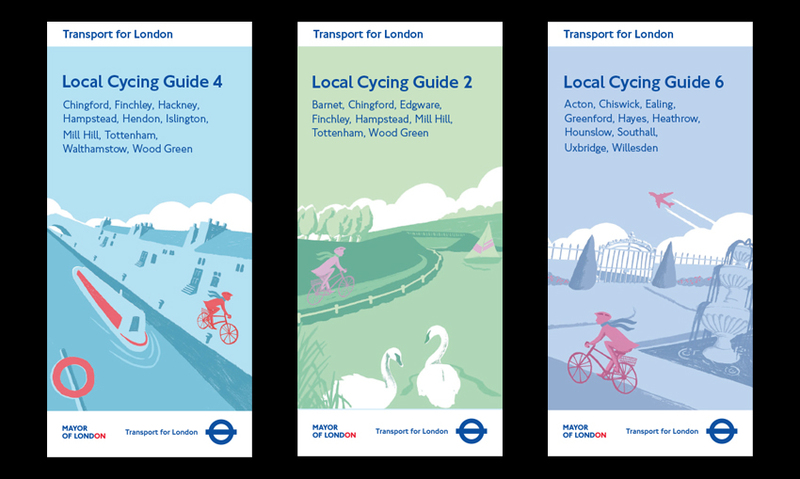 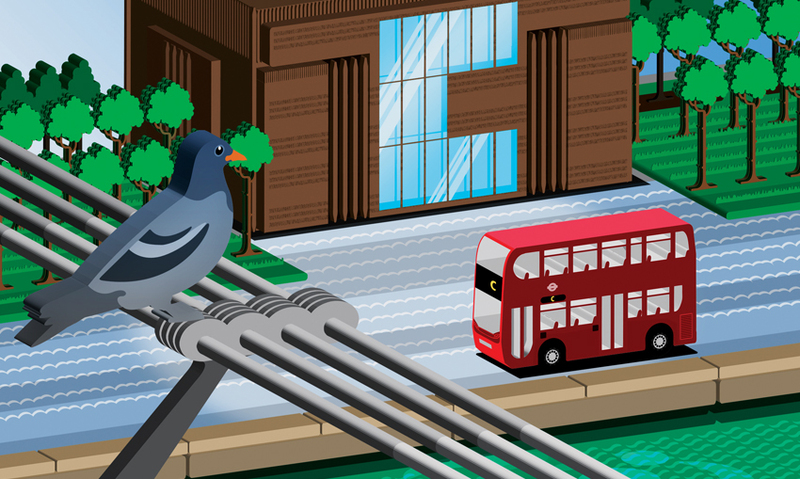 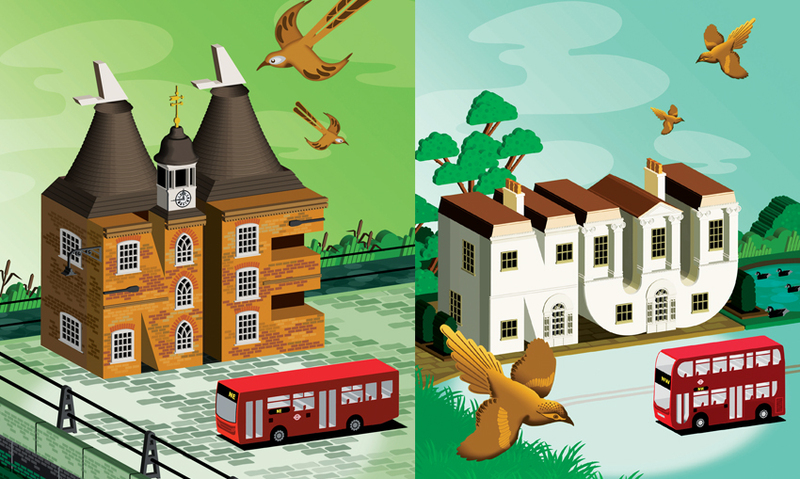 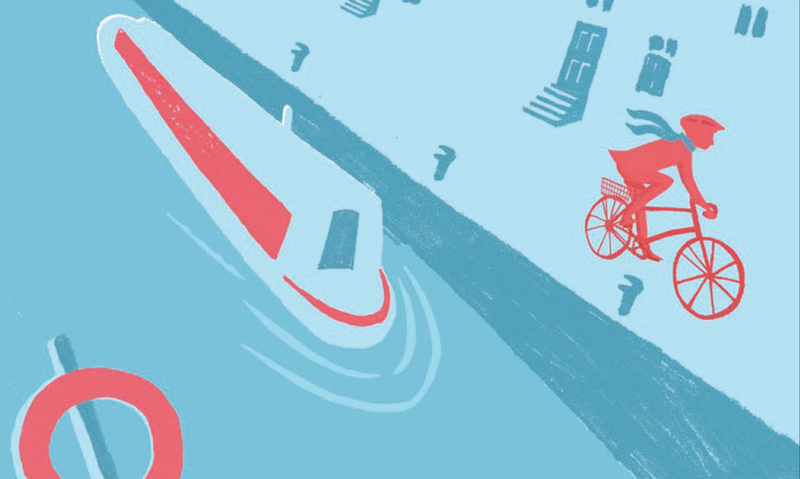 We created a series of appealing illustrations for the covers of the local area cycling maps. 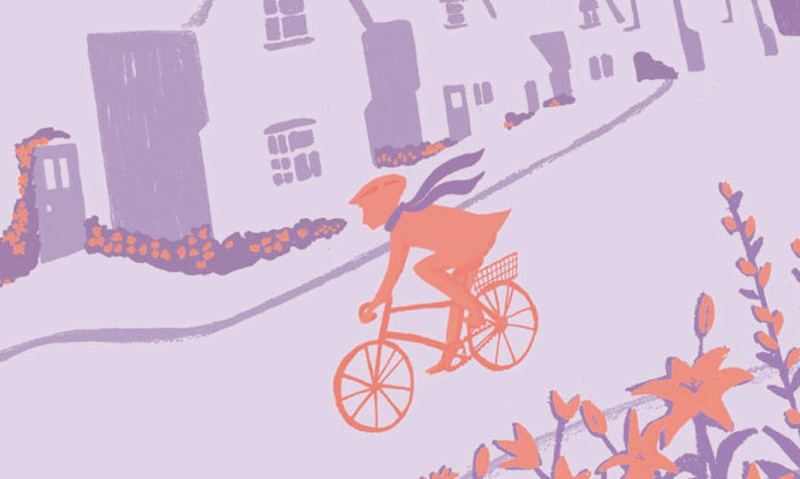 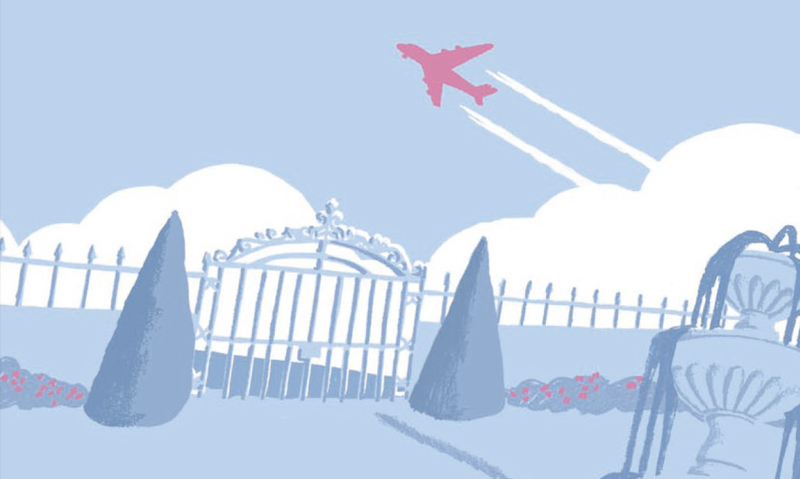 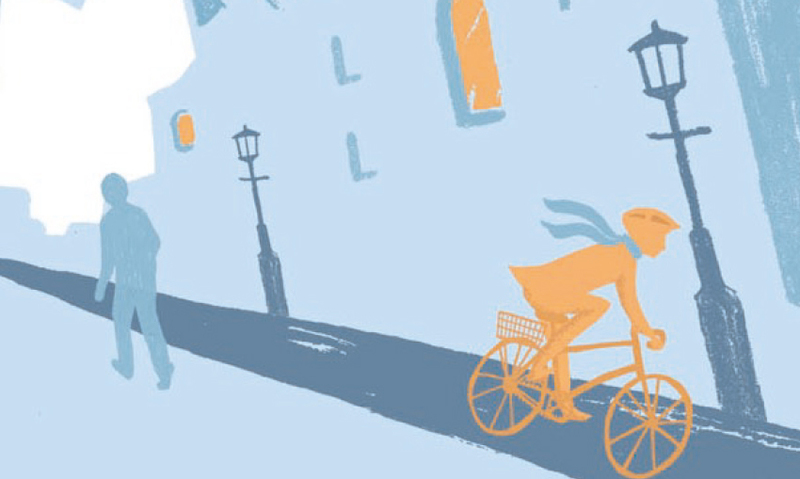 The illustrations featured well known landmarks and were imbued with the carefree spirit of cycling.